Directions : Read the following passage carefully and answer the questions based on the seating arrangement given below it. 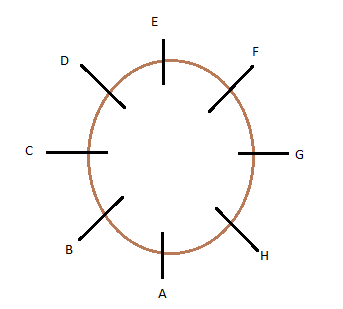 Q1.Which of the following pairs has only one person sitting between them,if the counting is done in clockwise direction. Q2.Who sits third to the right of E ? Q3.What is the position of G with respect to A’s position ? 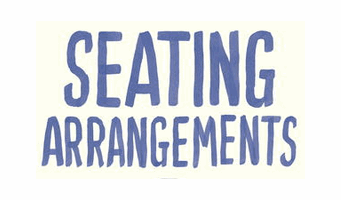 Q4.Who sits between E and A ? 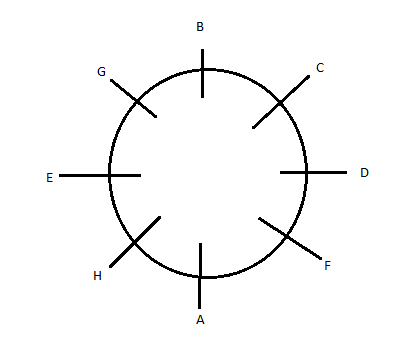 Q5.Starting from A’s position, if all the eight are arranged in alphabetical order in clock wise directions, the seating position of how many members ( excluding A ) would remain unchanged ?